The first part of the late rock star’s collection sold for 24 mln pounds, more than expected for the entire portfolio. A record 3.8 mln pounds paid for a stunning Auerbach epitomizes Bowie’s eye and investment nous. The legacy of the music-securitization pioneer won’t slip away. 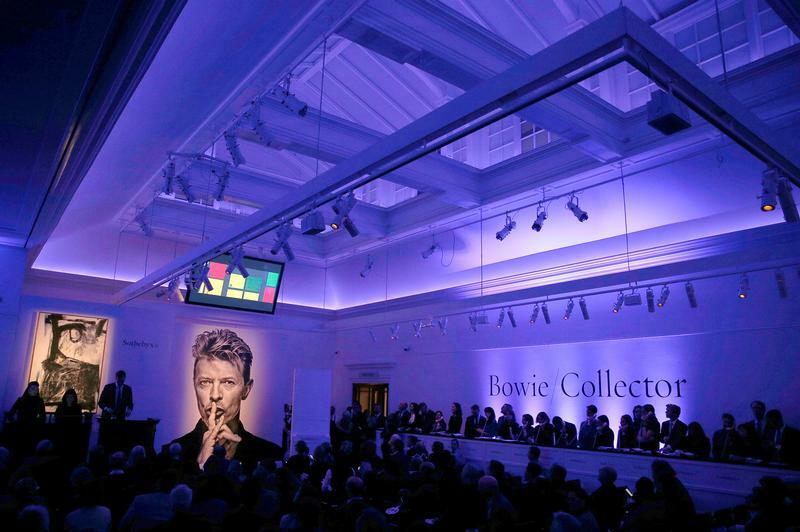 The first of three Sotheby's sales of the late David Bowie's art collection raised 24.3 million pounds from 47 lots, three times the low estimate for the auction and more than the high estimate for all three parts of the collection. The Nov. 10 event set 12 records, including 11 for 20th Century British artists. Frank Auerbach's "Head of Gerda Boehm" sold for 3.8 million pounds against an estimate of 300,000 to 500,000 pounds. The top lot, Jean-Michel Basquiat's "Air Power", sold for 7.1 million pounds, doubling its high estimate. Sotheby's said 765 registered bidders represented 46 countries, with double the expected number of participants from the United States for a sale of modern British art. Parts two and three of the sale take place at Sotheby's in London on Nov. 11.